Learn for our Experts on How to Avoid getting Slipped Disc. This Article will teach you how to avoid injury and prevent pain during a workout session. Read it and share it with all your gym friends today. In the last couple of years, hundreds of gyms have popped up all over Malaysia. While this is a great healthy habit, many have injured their backs. A slipped disc is all too common, especially for the average gym goer. Therefore, we have dedicated this page of our website to teach you how to avoid getting a slipped disc during your workouts. Please help your friends and family members by sharing this page. They may not be aware of these pitfalls. Help then Avoid Getting Slipped Disc During Workouts. It is great to see people wanting to live a healthier more active life. 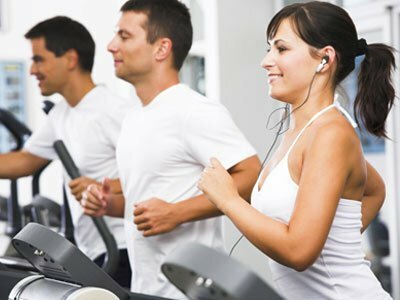 What is not great is the fact that most of the gym goers today get injured in their pursuit of a healthier more active life. For some, the injuries are so severe that it has rendered them immobile. Deadlifts, bench presses, leg presses and lat pulls can severely damage you when you push too much or too fast or if you use incorrect techniques! The most common damage that we have seen in our centers is damage to spinal discs: a Slipped Disc (slip disc). Spine and Joint injuries in gyms are increasing. The increase is due to many factors. In this article, we will try to address the most dangerous of these injuries in hopes of educating the members of our community. Go BIG or Go BUST or the No PAIN no GAIN attitude is a common mistake often seen in gym enthusiasts. We have seen our share of the spine and joint injuries that have resulted from aggressive workout programs. For some, the goal is to build the maximum amount of muscle in the shortest time. This aggressive attitude is the leading cause of a slipped disc or joint injury. Many have severely injured themselves in their quest of building and getting stronger. Getting stronger or getting bigger is often the goals with most gym goers. There is nothing wrong with either one, so long as you exercise correctly. It is all about how you go about getting stronger. The best advice I can give you is to be aware of your limitations. Not knowing your limits is playing with danger. Like the Russian Roulette, sooner or later you will lose. So, don’t risk injury or worse (paralysis) in your pursuit of a healthier more active life. My most sincere advice to all gym goers is to establish their limits before partaking in workouts. Let’s cover a critical point of importance for the aggressive gym-goer. The best and most helpful means of understanding your limitations is through the One Repetition Maximum principal. The One Repetition Maximum methods can help you avoid getting slipped disc during workouts. It is just that simple. Finding the “One Repetition Maximum” (AKA “One-Rep-Max” or “1-RM”) limit. The “One Repetition Maximum” is defined as the maximum load a muscle can lift. By adhering to the rules of establishing your limits through the 1-RM, you can avoid getting slipped disc during your workouts. The 1-RM is easy and a process used by professional athletes. Not only will it help you avoid getting a slipped disc, but it can also contribute to making you stronger faster. Hence, the One-Ma-Rep (1-RM) can get you bigger, stronger, and help you avoid getting slipped disc during your workout. Establishing your 1 RM (not to be confused with 1 Ringgit Malaysia) is good. The One-Rep-Max is the old and comfortable way of testing your strength. Also, knowing what your One Repetition Maximum provides you with a measurable means of monitoring your progress, which in turn can help organize and establish a proper workout schedule for achieving your desired goals. For example, if your goals are to get “BIGGER SHOULDERS,” then you want a program that is specific to muscular hypertrophy. In such a scenario you would want to do about five sets of five shoulder presses at 75% of your One-Rep-Max. And to be precise, you will need to reestablish your One-Rep-Max weight either weekly or bi-weekly depending on your goals. This you would need to do to build more and more until you are lifting more than ever before. In other words, to build muscles fast, you will need to go through progressive overload. But, as you can see, it is not as simple as most think it is. And that is where injuries occur. And it is the precise reason why we have decided to write about this. The Chiropractors and Physiotherapists of Chiropractic Specialty Centers® have seen far too many people with injuries that could have easily been avoided. We are not against weight-lifting or establishing your “One-Rep-Max.” We do believe it is an excellent way to achieve your goals. But having said that, it is imperative that you have some things in place before attempting such a task. The FIRST and MOST important rule: The “One-Rep-Max” is not for the “New Gym Goer”! We highly encourage all our visitors and patients not to attempt finding their “One-Rep-Max” unless they have been a regular gym enthusiast for at least six months. This is not what a “Newbie” should try. Most of the injuries we see have resulted from new lifters that have sought to establish their “One-Rep-Max” (1-RM). Our SECOND rule: Learn the proper technique. Make sure the lifting methods and techniques you use are sound and research-based. When we say research, we don’t mean for you to watch some knucklehead on YouTube. Learn from a professional and not just some guy that looks BIG. The FINAL rule: To do this right, you will need a log. Keeping a workout log is an excellent means of tracking your progress. The logbook can help you avoid overreaching your body’s limit, which will injure you. If you have escaped unharmed, don’t assume that you can continue to get away. Like the Russian Roulette: You may get lucky once or twice, but know that the odds are against if you push your body too much or too fast. Follow our advice and avoid getting a slipped disc during your workout. And most important: Share this Page. Help us get the word out to as many people out there as possible. Our methods of physiotherapy and chiropractic treatment can help repair damage to spinal discs and spinal joints. We have even reversed a slipped disc. Chiropractic Specialty Center® in Malaysia has been treating slipped disc patients for over a decade. Our clinical successes are documented well through pre and post-therapy MRI examinations. Visit us and see what we can achieve for you. However, prevention is better than cure. The injured, our advice to you is to have the injury looked at by one of our non-surgical spine and joint injury specialist. We have multiple centers in the Klang Valley and will soon open centers throughout Malaysia. Our Chiropractic centers have helped thousands of patients recover from injuries, pain and slipped disc faster.